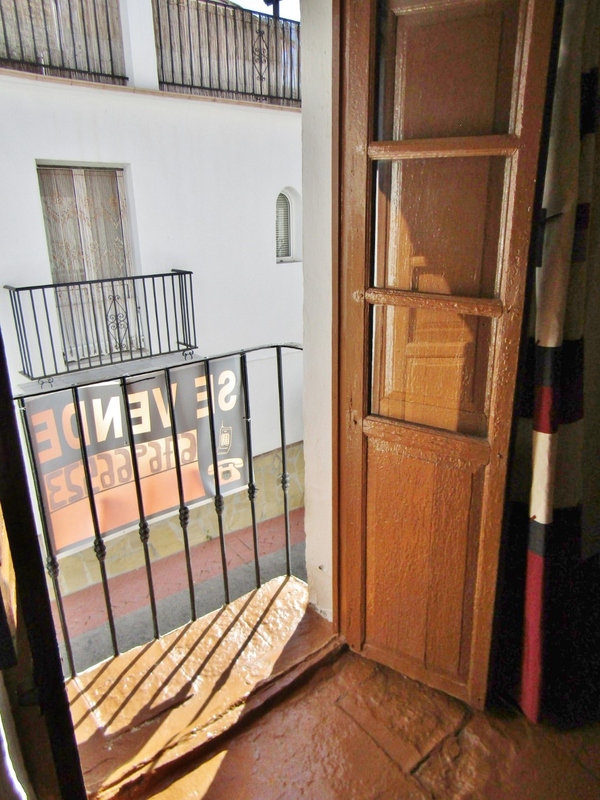 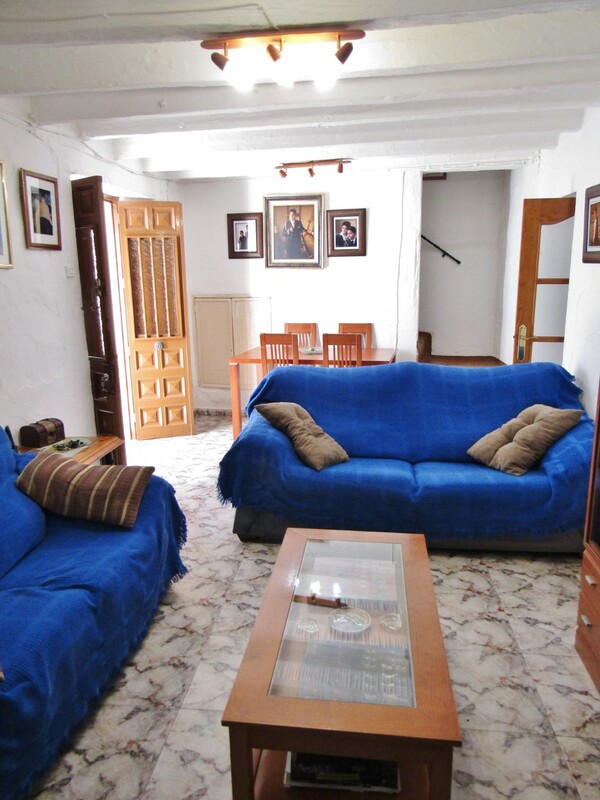 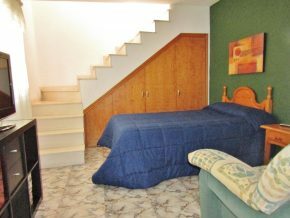 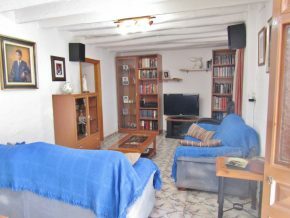 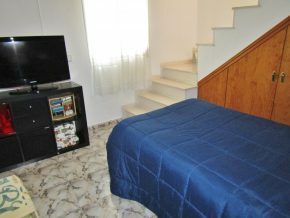 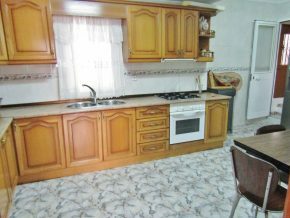 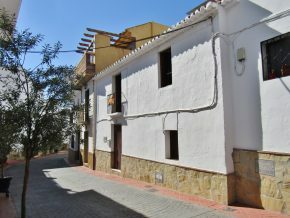 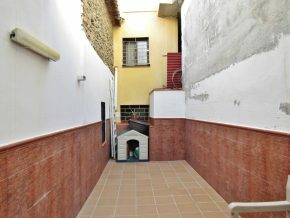 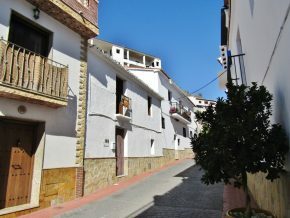 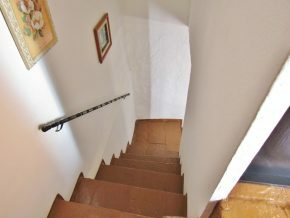 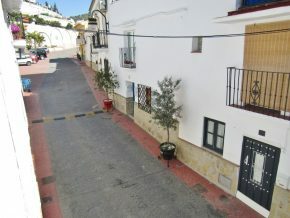 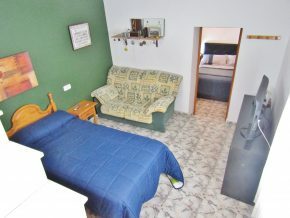 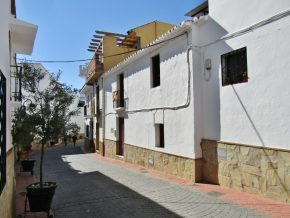 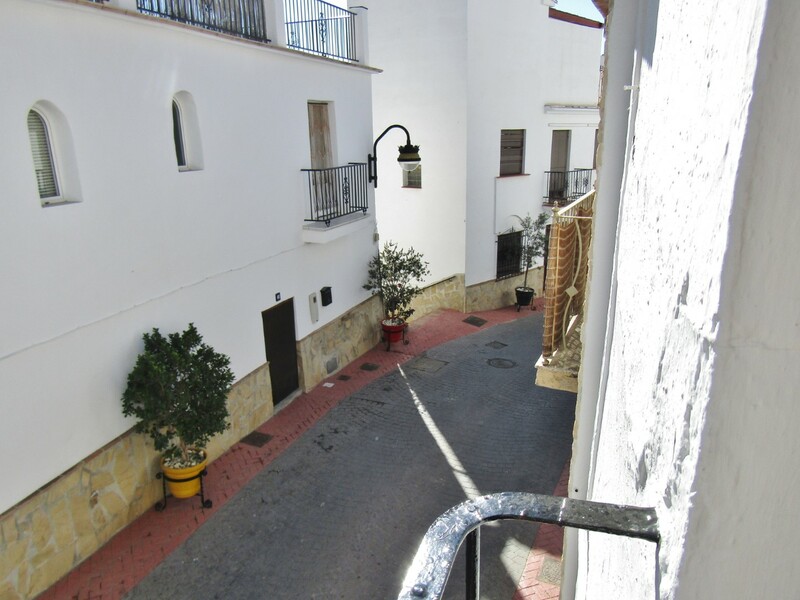 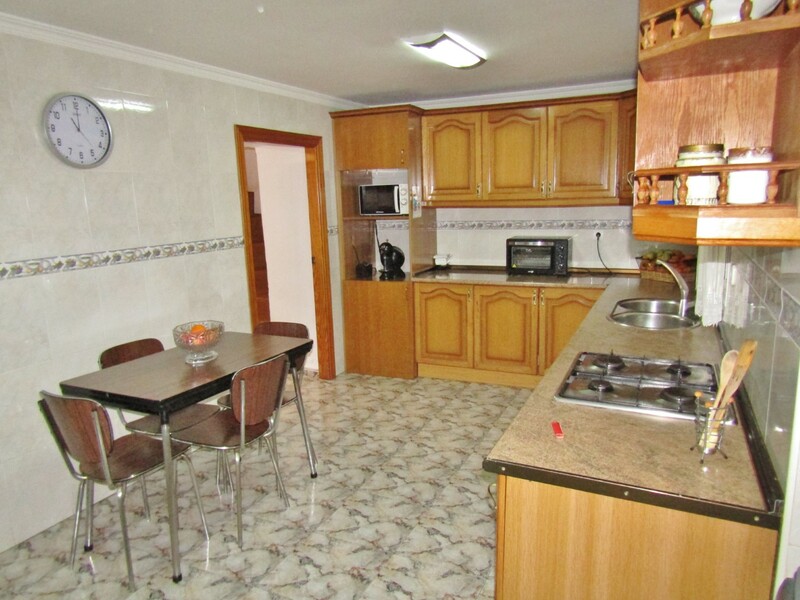 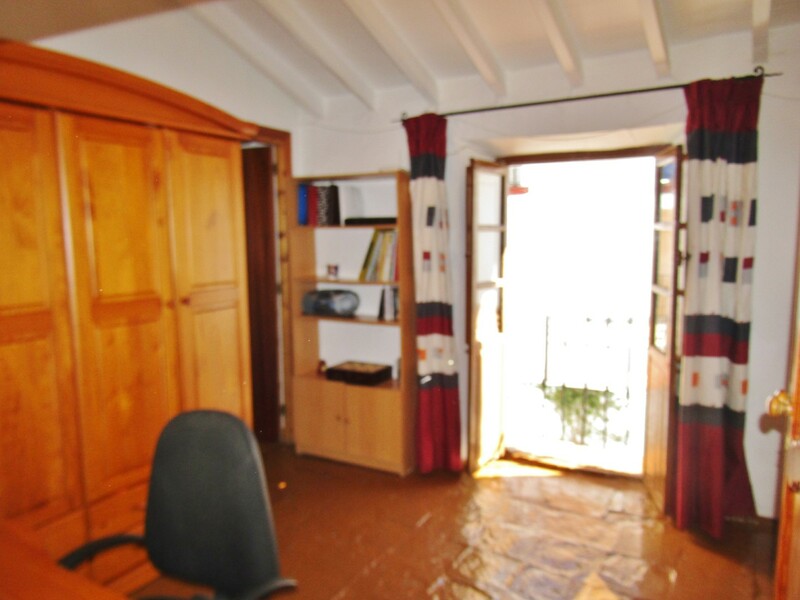 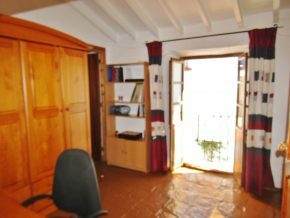 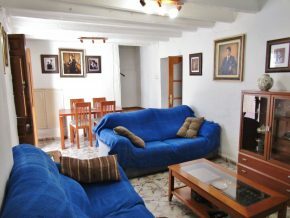 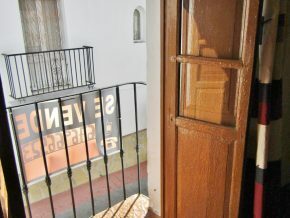 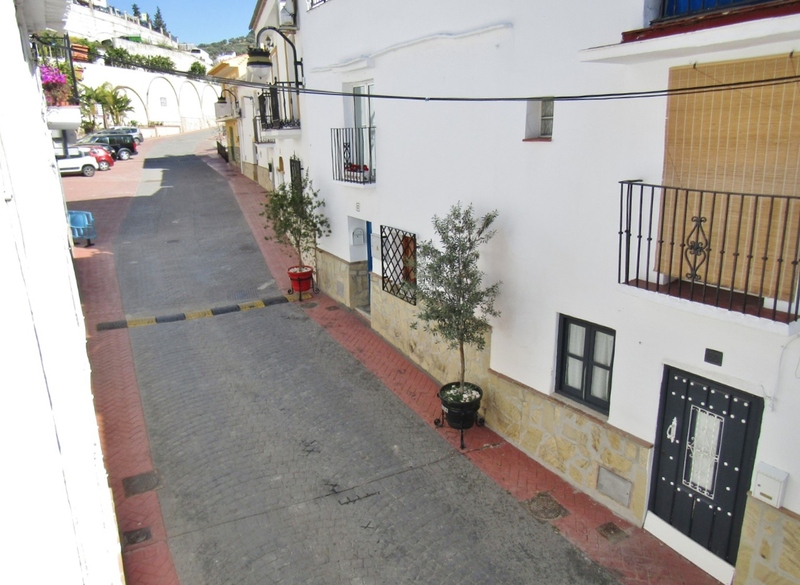 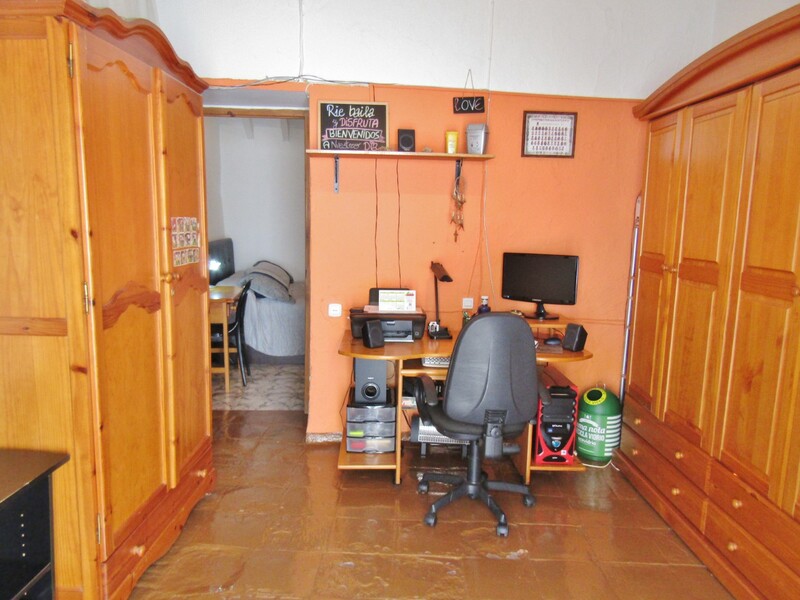 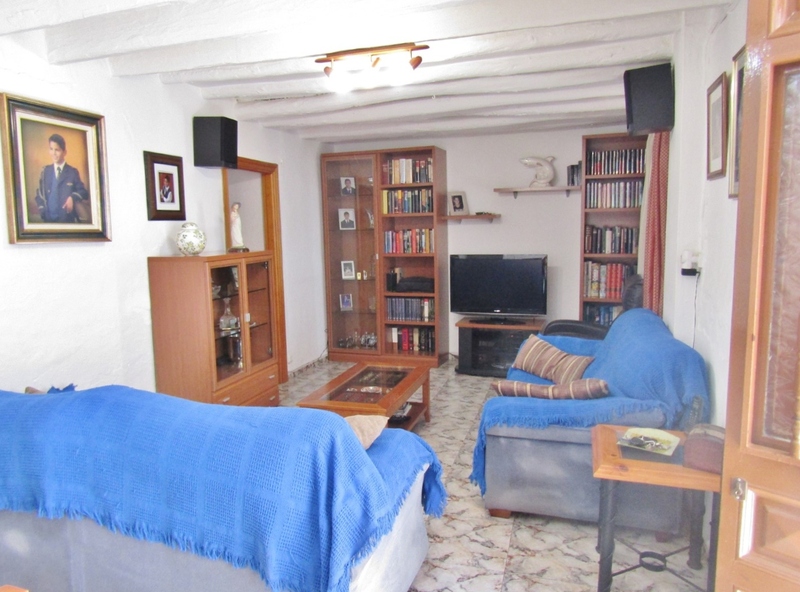 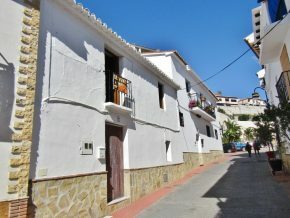 A spacious, traditional village house still with much of its original character, in the historic centre of Viñuela village. 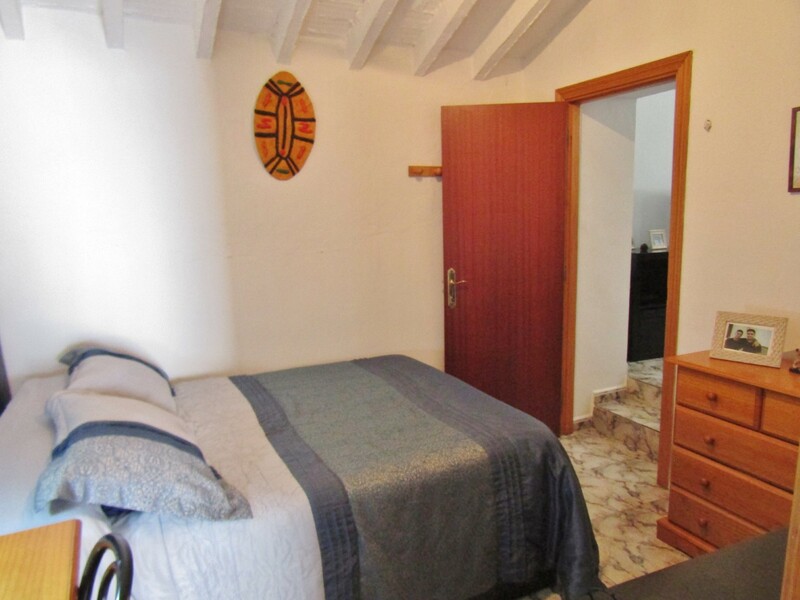 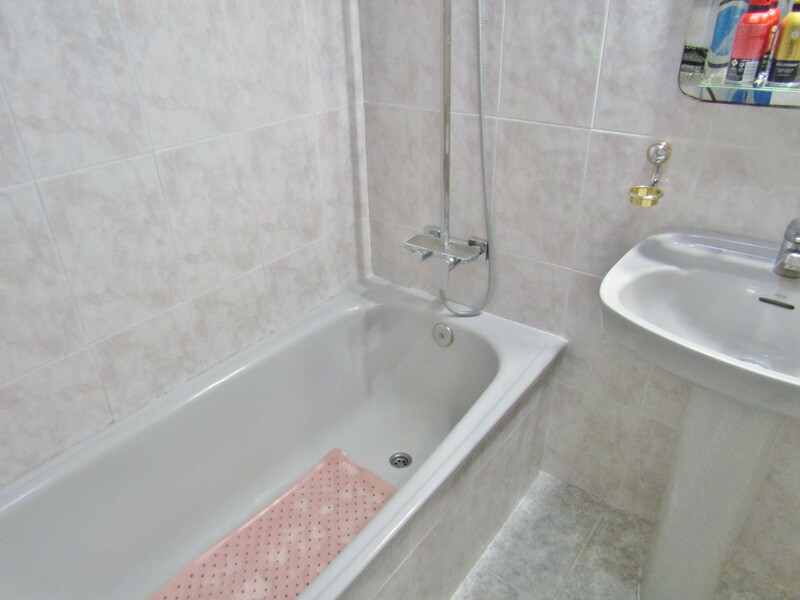 This lovely house is located in the most picturesque part of the village, close to the town hall and with local facilities, the park and the river just a stroll from the house. 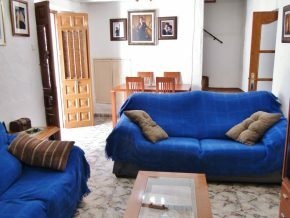 The pretty facade faces the main street, and the front door leads straight into a spacious living room (6 x 3m). 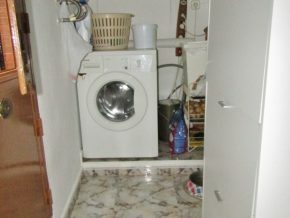 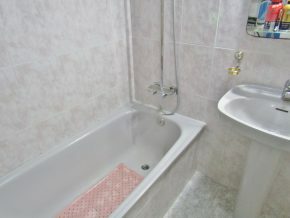 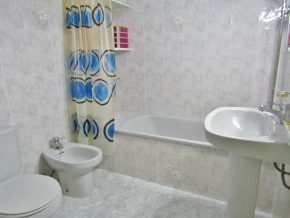 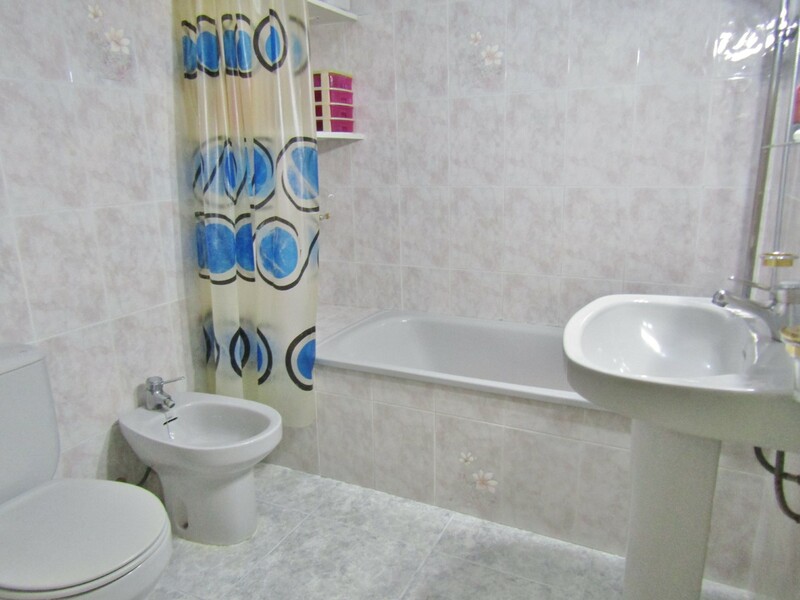 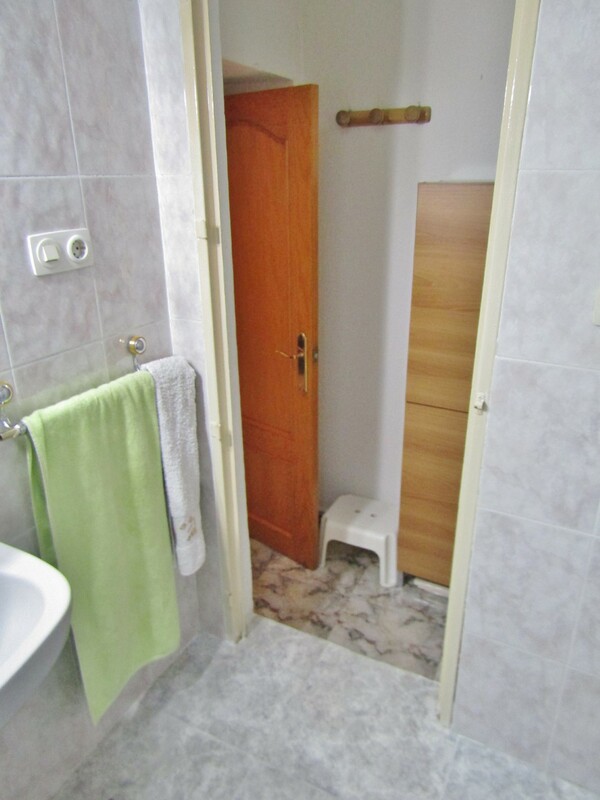 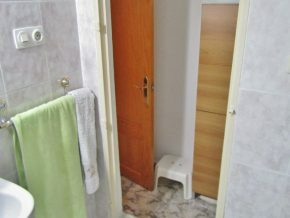 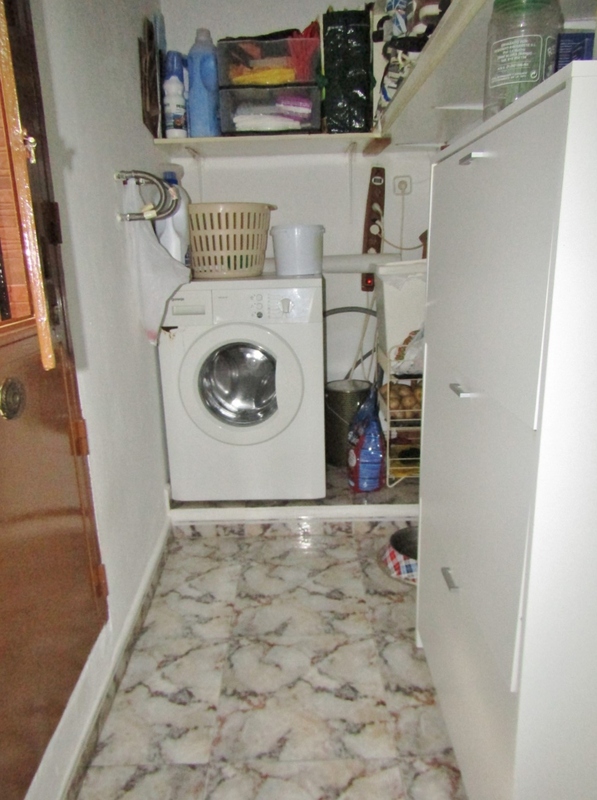 To the far right, is a door to the only bathroom in the house (at present), 2 x 2m plus entrance area. 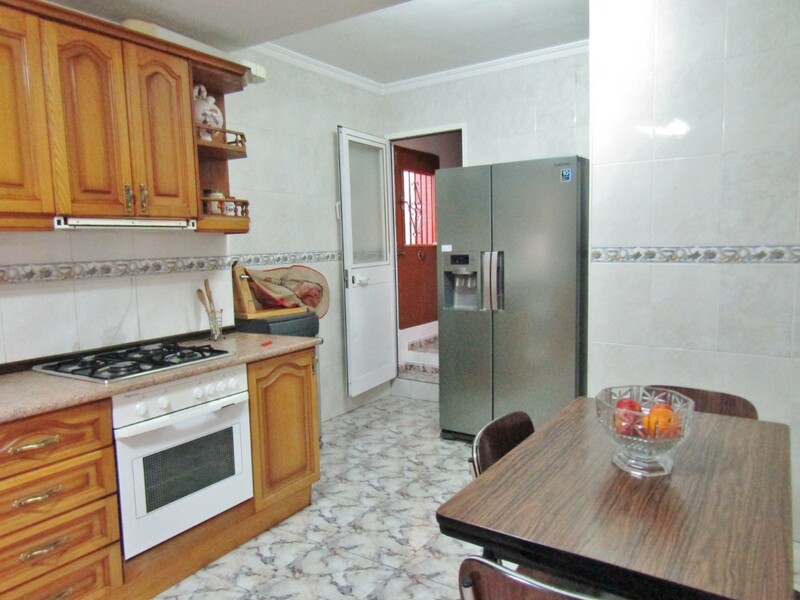 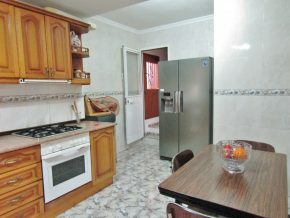 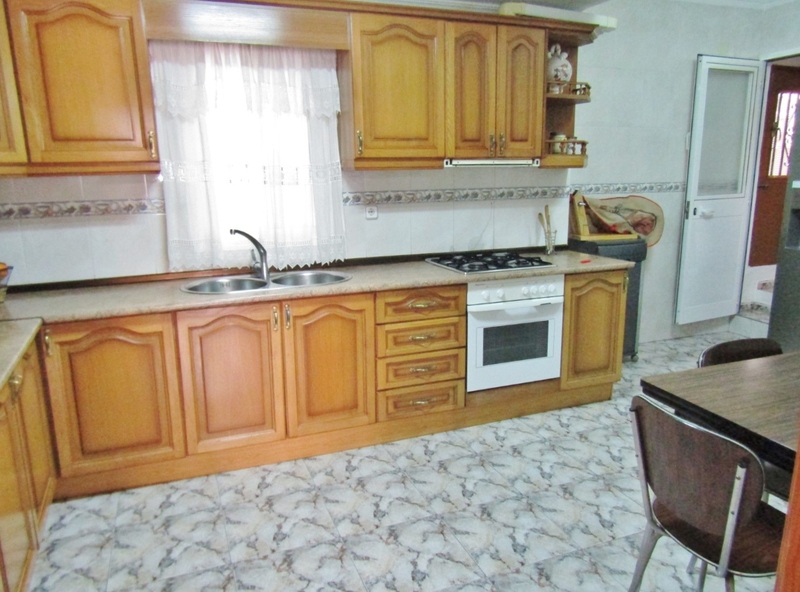 Ahead, from the living room, is a door into the fully fitted kitchen (4 x 2.5m) with plenty of space for a dining table. 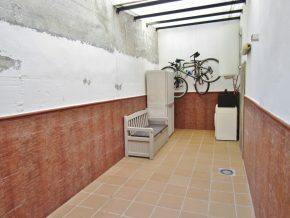 At the far end is a useful utility area (2 x 1m) and a door leading out to a large inner patio of 7 x 3m approx. 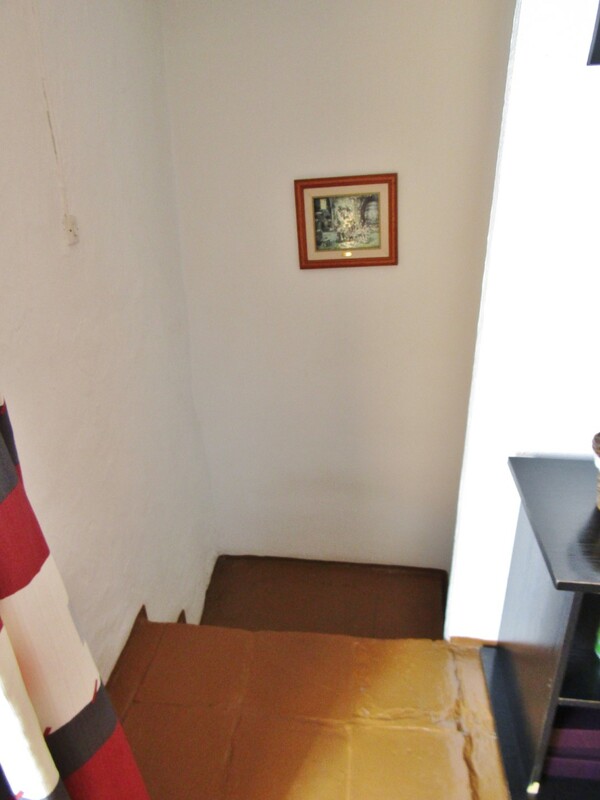 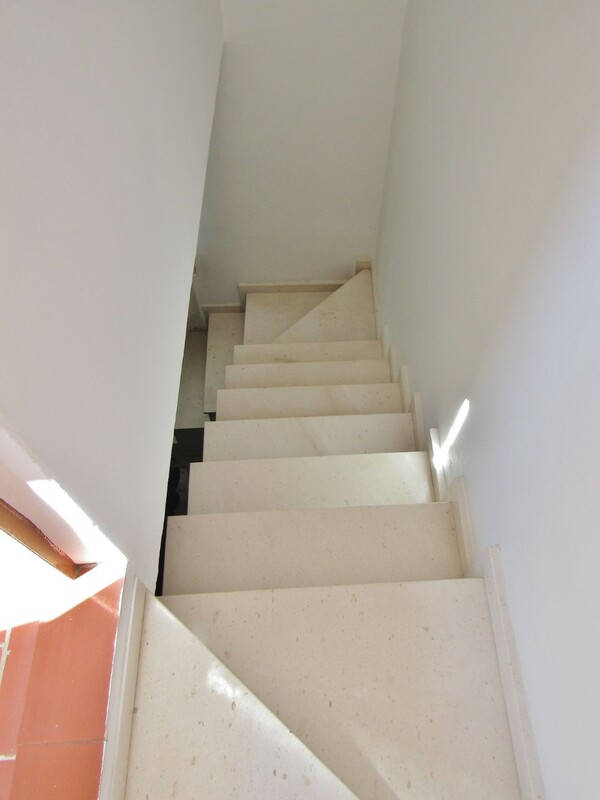 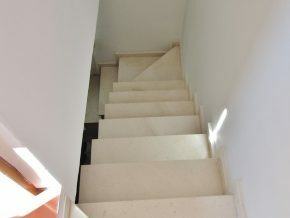 The stairs from the living room lead up to a large landing (with original tiled floors and a balcony – 4 x 3.25m) which could be made into a comfortable upstairs sitting or reading room. 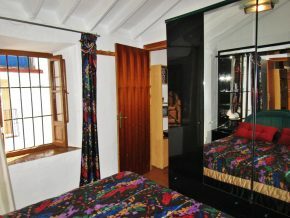 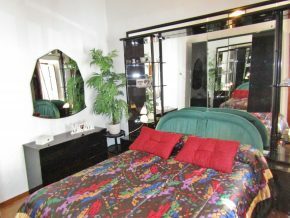 Ahead, is bedroom 1 (3.5 x 3m) with a window over the street. 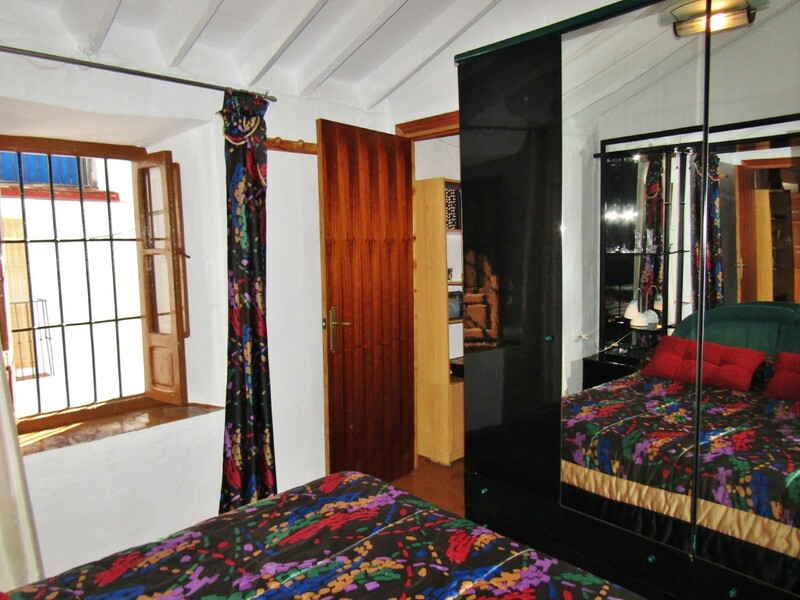 These rooms has beams and sloping ceilings. 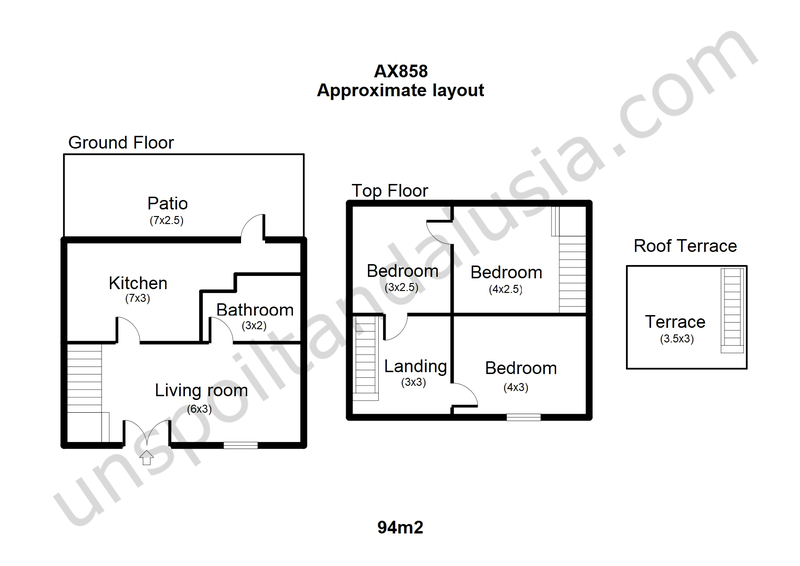 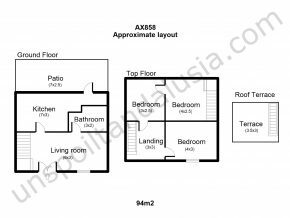 To the rear, from the landing are two further bedrooms, one leading through to the other (3 x 3m, which could have a window over the patio, and 3 x 3.5m plus under stair fitted cupboard and window over the patio). 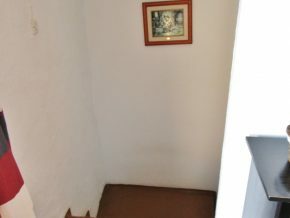 It could be possible to make these rooms have individual access from the landing. 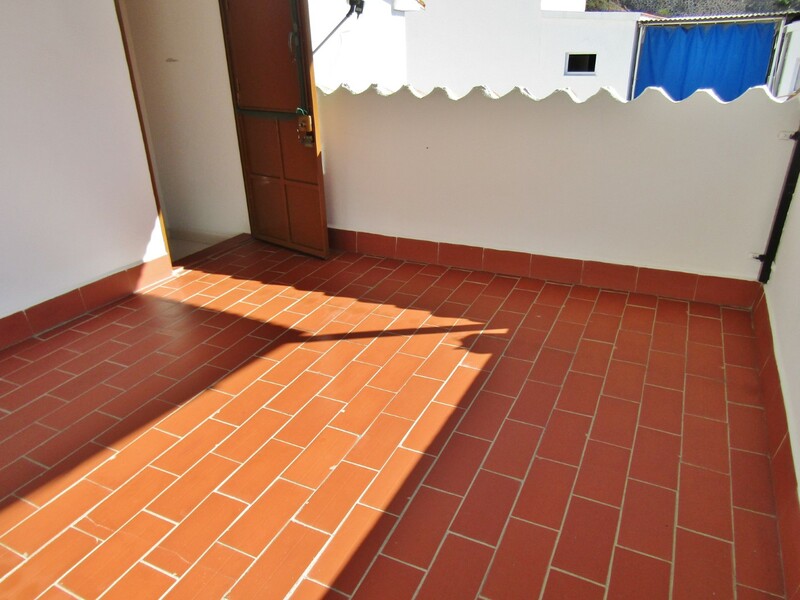 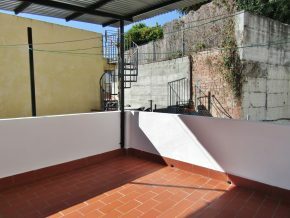 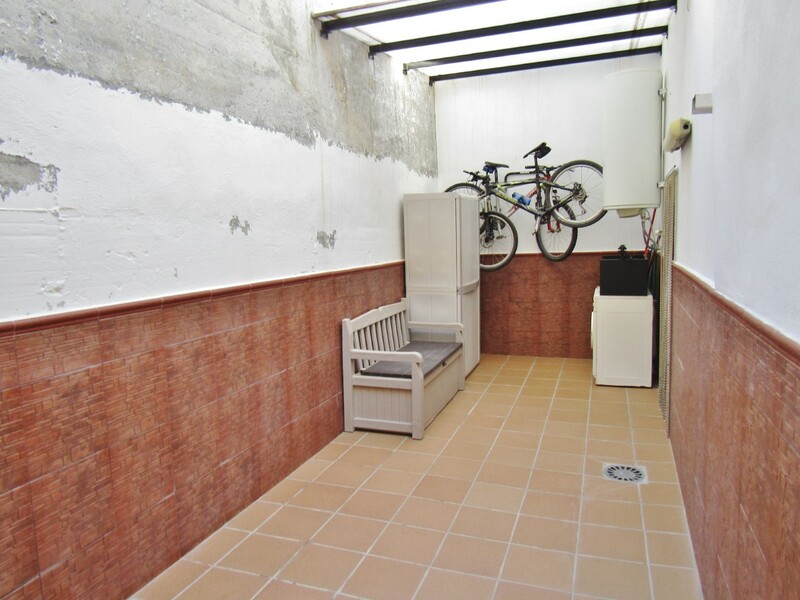 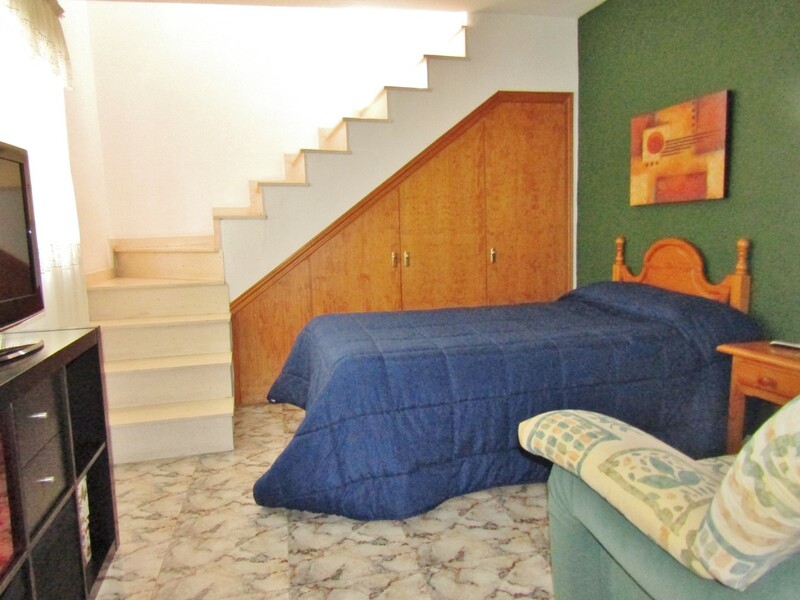 From bedroom 3, stairs lead up to the roof terrace (3 x 3.25m). 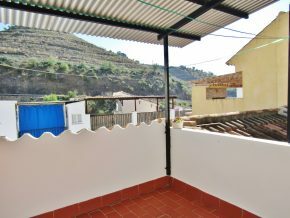 This terrace, with partial views over the village, could be extended considerably by converting roofing into terrace (subject to planning permission). 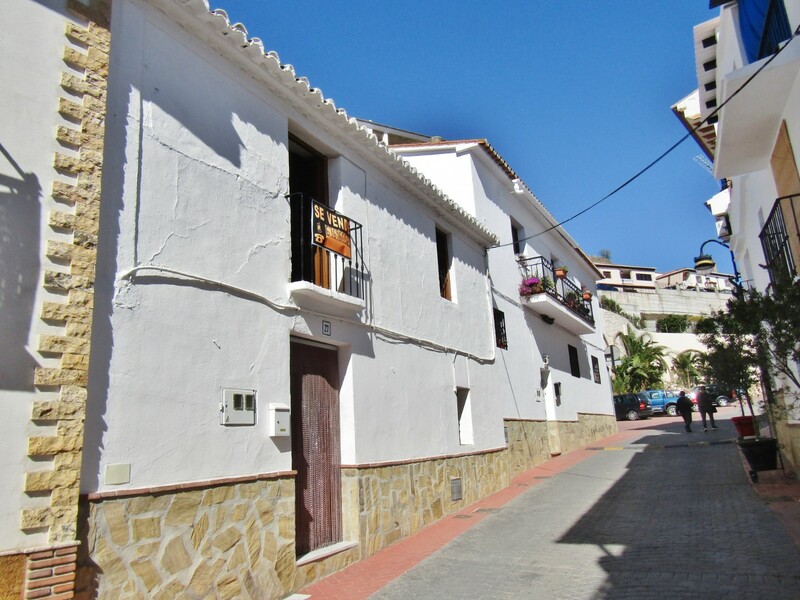 Viñuela village is perfect for anyone wanting the true village experience, but not high in the mountains, with plenty of easy walking and within easy access of the coast (20 mins). 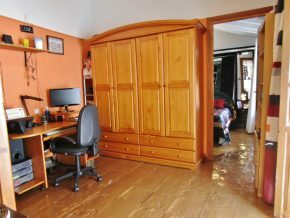 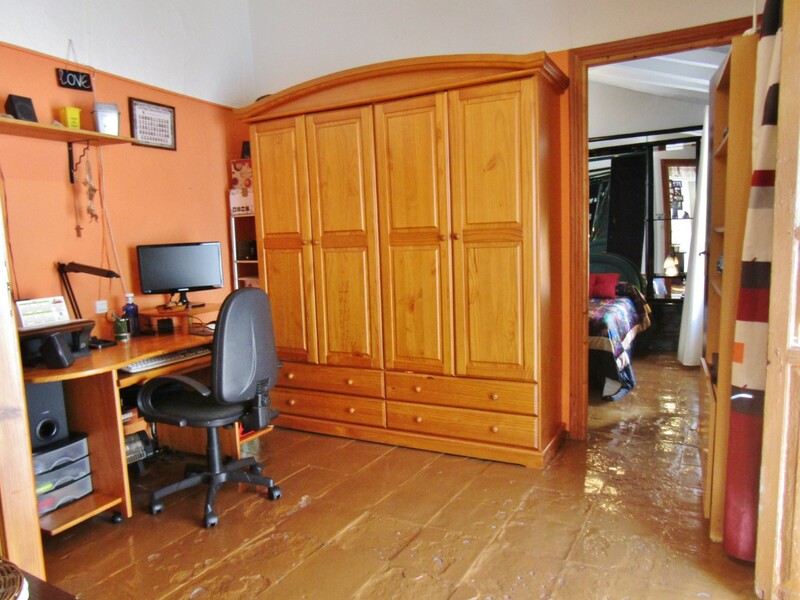 – Council tax (IBI): 210€ p.a.